The Hotel Petersbühel has a great location overlooking the slopes and offers doorstep skiing as well as easy access to the village. 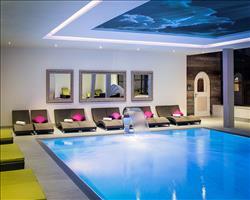 The hotel has a 300m² spa and wellness area and gym, a wine cellar, and a lovely restaurant. Always beautifully kept, the refurbishment has created a superb 4 star hotel. Dogs are permitted to stay at this hotel for an additional fee. The chalet wing is connected to the main hotel building. All rooms have a safe, free WiFi, hairdryer and cable TV. Twin room - 20m²- sleeps 2: Austrian twin beds, private shower and WC, and balcony. Chalet wing twin room - 14-18m²- sleeps 2: Austrian twin beds, private shower, WC and balcony. Superior twin room - 31m²- sleeps 2-3: Austrian twin beds, single sofa bed, private bath with shower attachment, separate WC. Single room - 12m²- sleeps 1: Single bed, private shower and WC. Please note: Chalet wing twin rooms are located in the chalet wing, connected to the main building. We update Hotel Petersbühel's details often, but facilities do change. e.g. some extras listed by the supplier as "free" or included might only be for the first time you use them, or for one time per party, then charged for further use. If any specific feature is essential to your holiday, make sure you ask us to confirm the details of it before you book your holiday. This package holiday to Hotel Petersbühel in Obertauern, Austria departs Saturday 21st March 2020, for a 7 night stay on a "half board" board basis. A local tourist tax (Taxe de Sejour or Kurtaxe) is levied by many councils in European ski resorts. It varies by standard and type of accommodation and is age dependent, so not everyone is charged. It's not included in the basic price of your holiday and is usually paid locally. For reference, the average charged in winter 15/16 was between 50p and £2 per person, per night. Obertauern lift pass price last reported as €205 (adult 6 day). Ask for a quote when booking Hotel Petersbühel. Obertauern has N, S facing slopes. Usually open for skiing November to May. 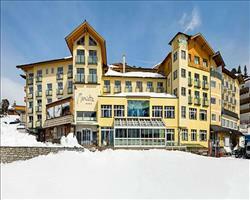 Hotel Marietta Obertauern Austria, Gatwick to Salzburg 21st March. Hotel Kohlmayr Royal Obertauern Austria, Gatwick to Salzburg 21st March. Hotel Steiner Obertauern Austria, Gatwick to Salzburg 21st March.